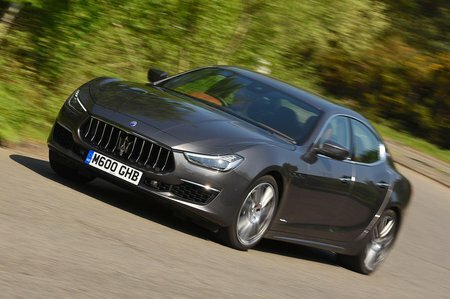 Maserati Ghibli V6 GranLusso 4dr Auto 2019 Review | What Car? Adding the GranLusso pack brings soft-close doors, 12-way (rather than six-way) electric front seats and electric adjustment for the steering wheel and pedals. It's not perfect, transmitting vibrations through the floor of the car, but the Ghibli's entry-level petrol engine (if a 345bhp V6 can be called such a thing) sounds great and delivers performance worthy of a sports saloon.